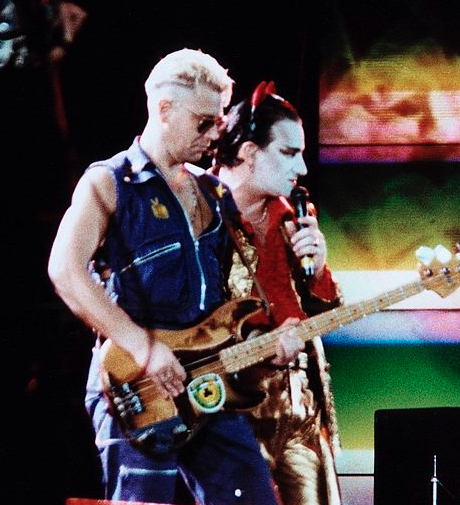 I recently told the story about two Dave’s falling off a stage, Dave Grohl of Foo Fighters & David “The Edge” Evans of U2. Now check out another first name coincidence. 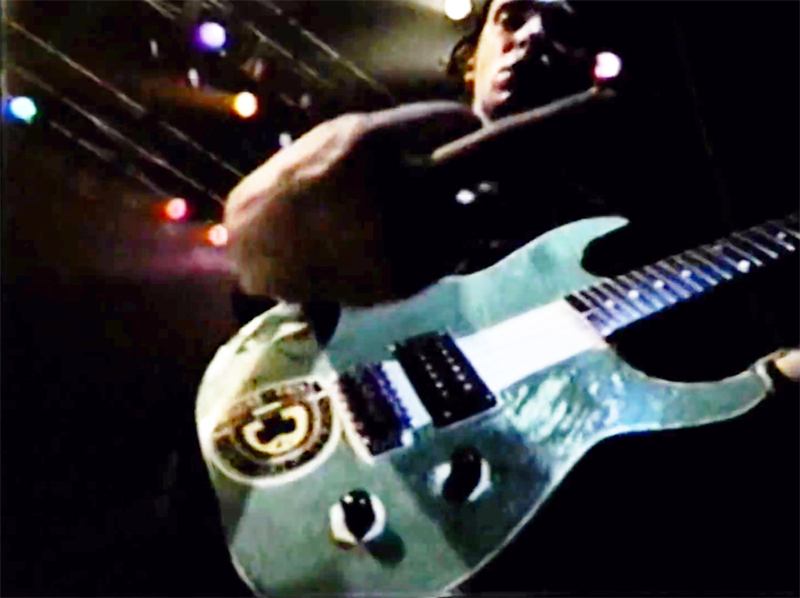 Two guys in two huge bands both named Adam stuck House of Pain stickers on their instruments. 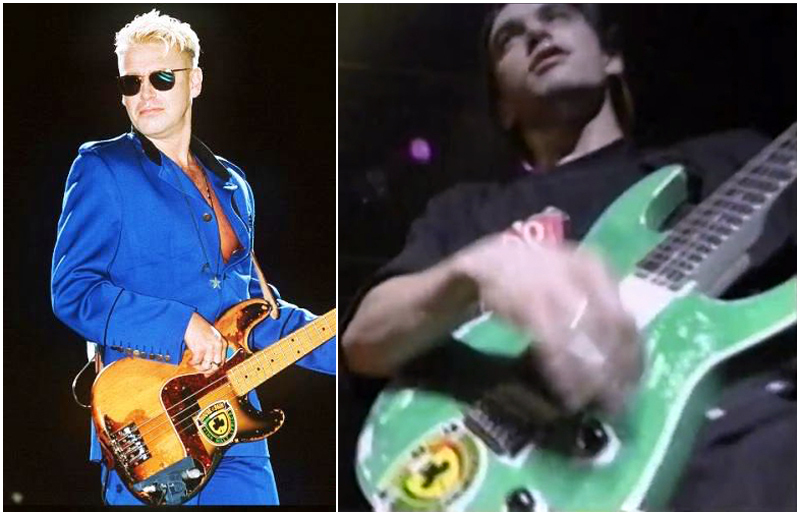 Sadly, Ad-Rock got caught up in the moment and smashed the guitar on the last show of the Check Your Head tour on July 4, 1992 in Italy. 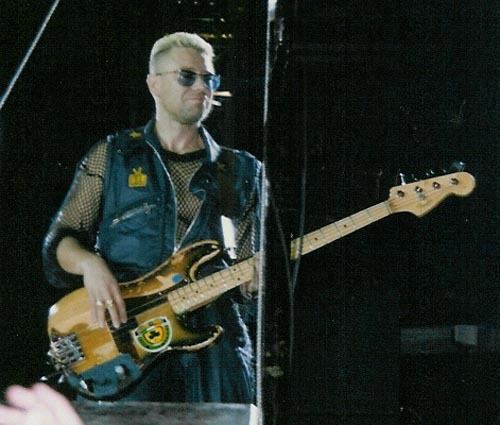 Adam #2, Adam Clayton of U2 also stuck an HOP sticker on one of his “Zooropa” era Fender Precision Basses used mostly during the Zoo TV tour (1992-1993). Clayton is Irish and I’m sure liked that the House of Pain was all about “Irish Pride” while the Beastie Boys actually took House of Pain on tour with them but eventually kicked them off the tour for keeping it way too real. They partied like a bunch of rowdy Irish hooligans. 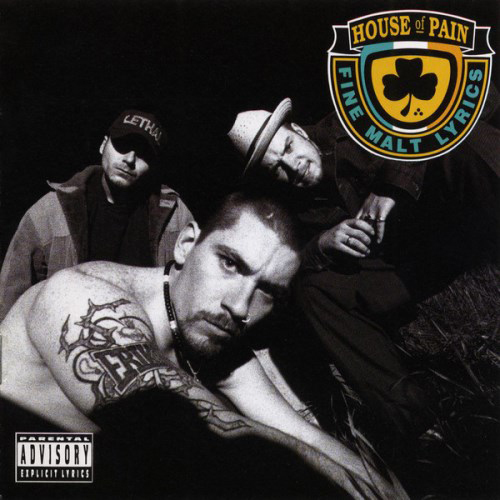 House of Pain’s self-titled debut album (1992) went multi-platinum and spawed the hit single “Jump Around“, the instantly recognizable anthem that is still played at clubs and at every sporting event in the world. Band members Everlast, Danny Boy & DJ Lethal are still active and influential in the music business. 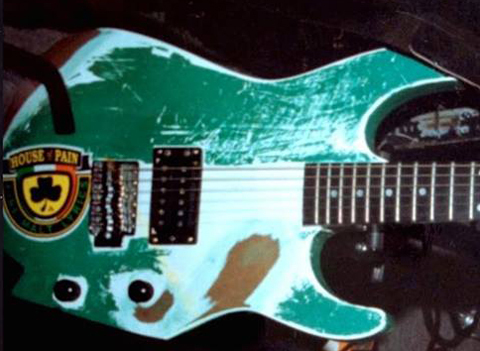 Everlast as a singer/guitarist has had several solo hits including the song “What It’s Like“. DJ Lethal continues to produce records and toured for several years as the DJ in Limp Bizkit. Danny Boy who founded House of Pain recently founded the respected underground hip-hop collective La Coka Nostra featuring himself & DJ Lethal along with rappers Ill Bill & Slaine. Danny Boy O’Connor also heads the Delta Bravo Urban Exploration Team that finds culturally significant locations from movies, TV Shows & music.